Are you searching for a dependable Suwanee roofing company known for quality work? Talk to the top-rated team at Hopewell Roofing & Restoration. Our work stands up to the best in industry standards, sporting high-quality materials with robust warranties and service delivered promptly and professionally regardless of what’s required. Property owners in Suwanee have the pride of living and working in a City of Excellence. We know you have high expectations for renovations and home repairs. Hopewell Roofing is ready to rise to that challenge and ensure your home’s biggest asset is safe and secure. Roofs aren’t just for coverage. The shape, color and condition of your roof impact the overall appearance of your home. Nothing has a bigger impact on home value either, in more ways than one. A roof that looks good will obviously boost curb appeal. The opposite is true as well. But a leaking roof that allows moisture in will impact every square inch of your home. From mold-infested attic insulation to soggy, crumbling foundations, a roof in poor repair quickly becomes a financial nightmare. A roof consists of several types of materials, from sturdy, dry underlayment to glistening gutters. For a replacement or repair to last, you need to invest in high-quality building materials. Unfortunately, not every roofing company has access to the best. Hopewell Roofing started in 2009, after our founder, Andy Morrison, spent several years as a construction supervisor and roofing sales professional. In nearly a decade of business, Morrison hasn’t let time go to waste. Our company secured agreements with some of the most noteworthy manufacturers in the business, including GAF, North America’s leader in roofing shingles. Our company holds GAF Master Elite Roofing Contractor status, an honor bestowed on just 2 percent of roofing companies in the world. Advanced training, access to GAF’s full line of products and improved warranty selections provide our customers with the best of the best. 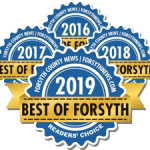 Suwanee has consistently ranked as one of the best communities in which to raise a family. Local economics play an important role in the supportive, inspiring culture felt throughout the area. Home and business owners in and around town look to local providers. They trust they’ll receive outstanding service and dedication. Hopewell Roofing is proof you can invest in area businesses without taking a big risk. Just like national competitors, we have the licenses and insurance required to ensure your roof repair or replacement is up to professional standards. You don’t have to take our word for it. A list of referrals is available upon request. Add your name to the list! 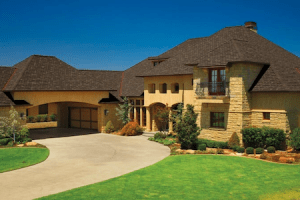 Contact our leading Suwanee roofing company for a free quote and experience the Hopewell difference.